Long ago, in a land called pre-debut, Infinite’s Sung-gyu was once Kim Sung-gyu, an average teenage boy with a dream and a love for rock music. Against his parents’ wishes, he joined a rock band and subsquently moved to Seoul to pursue his dreams of becoming a musician. But instead of continuing on his rock band aspirations, Kim Sung-gyu’s path diverged to that of idolhood as he passed his audition to become a trainee for Woolim Entertainment. Fast forward to 2010, Kim Sung-gyu becomes Sung-gyu of Infinite, Woolim’s flagship idol group, and sings and dances his way through synth-pop tracks. 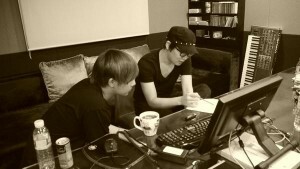 But now in 2012, Sung-gyu has returned to his roots as Kim Sung-gyu and has released his own solo album, with a promise to be laden with his first love: rock music. And I couldn’t be more happy for him. 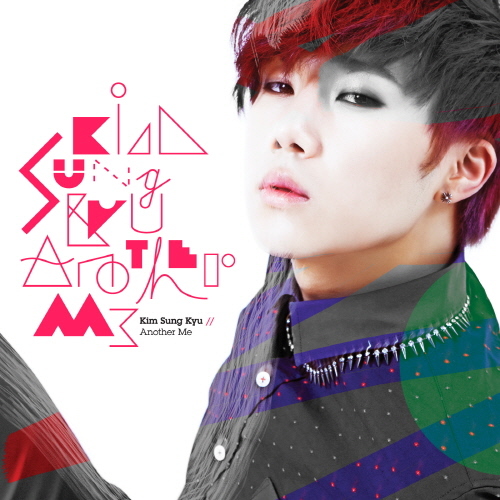 Infinite’s very own leader and grandpa figure Sung-gyu’s solo album, aptly titled Another Me was released on November 19th. Although I’m still craving for the Infinite H album to come out already, Kim Sung-gyu’s solo invasion was next on my list of eagerly anticipated solo debuts for Infinite. After listening to his solo song “Because” off of Infinite’s first full-length album Over The Top, and watching him perform the song live at their Second Invasion concert, my earlier thoughts that Sung-gyu’s voice is better suited for rock music had been proven wise. His voice has this slightly off-key and whiny tone that can be easily found in many alternative rock music that just seems out of place in most Infinite’s songs, specifically their promotional tracks. Once I got word of that Kim Sung-gyu’s solo, I could hardly wait and was excited for what he and Woolim’s producers, would come up with. After listening to “Shine,” the pre-released song written and composed for him by his idol and member of indie-progressive rock band Nell, Kim Jong-wan, my anticipation reached an all-time high. “Another Me” is the intro of the mini album, and was the background music for the MV teaser of “60 Seconds.” It starts off with a simple piano break, which leads up to a very ethereal melody and Sung-gyu’s light ad-libbing. It easily had the makings of a very good song, which is always the case with most Infinite intros, but nonetheless “Another Me” is a perfect opening to the album. It gives a sense that this album will show a more restrained and raw Sunggyu, with the layers of Infinite being pulled off. The instrumental alone is very different to what is normally released by Infinite, so it’s a good sign that this album is very much a side of Kim Sung-gyu that hasn’t been fully explored yet. His promotional track and second song on the mini is “60 Seconds” and is definitely a reawakening of the rocker Kim Sung-gyu during his high school band days. The song is alternative rock at its finest with strong guitar riffs and heavy percussion blended up light synths. The song’s progression has a light build-up that switches immediately to a hard-hitting guitar, string, and percussion instrumental and quickly back to a slow build-up. The continuous cycle of switching between the highs and lows just makes the chorus all the more powerful and prevents it from getting monotonous. The layering of instruments and styles is surprisingly works very well as the song fluctuates from being a slow acoustic song to a strong rock song. Overall, the song is very intense and Sung-gyu’s passionate singing really sells the song’s raw emotion and the feeling of pain this song should exude as implicated by the lyrics, which referred to the pain of remembering one’s past love and the gnawing feel of longing. Surprisingly, this song was produced by Sweetune and is very different from their standard ’80s throwback synth-pop, and strongly shows the versatility in their production skills. I’m really excited for Sung-gyu to promote this song and full of hope that he will destroy this song live. 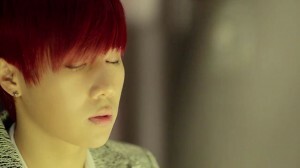 Following “60 seconds” is “I Need You,” which has much less intensity than “60 Seconds” and shows a more restrained Sung-gyu. Emulating greatly the yearning for love, lost or found, his gentle singing shows the range his higher-pitched voice has and makes the song a lot more beautiful to listen to. Although the song sounds bitter-sweet, there is a sweetness lying in the way Sung-gyu croons through the song and the acoustic instrumental. 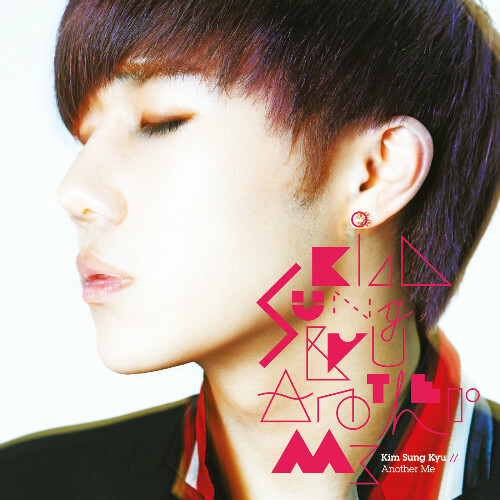 The fourth song on the mini-album is an acoustic version of “Only Tears,” which had been performed during Infinite’s encore concert at the Second Invasion concert by Sung-gyu, and was officially released as a group ballad on Infinitize. Initially, I had preferred Infinite’s version of the song over Sung-gyu’s because I enjoyed the harmonization of the group during the song, but listening to the acoustic version of the song again, it made me appreciate Sung-gyu’s restrained voice much more. It sounds so delicate and fragile as he sings through both “Only Tears” and “I Need You” that just sounds very moving and simply beautiful. 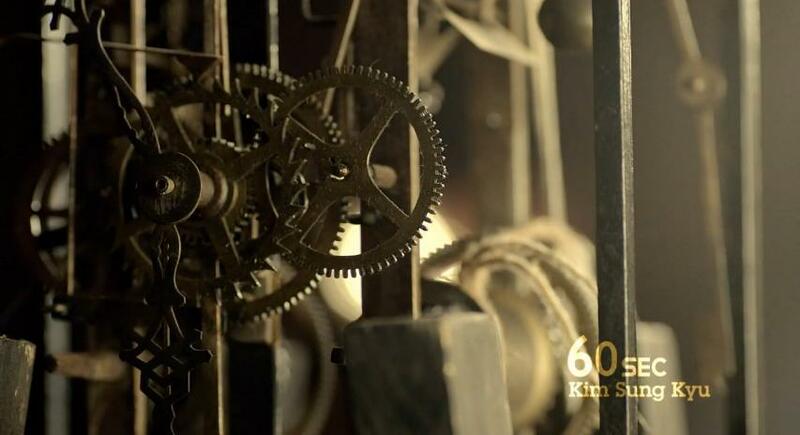 “Shine” was pre-released on November 6th, and is a stellar production by Kim Jong-wan. 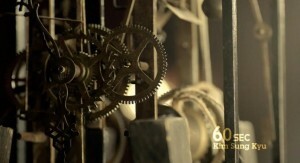 It’s still rooted in rock music but it has a hypnotic electronica bass-line that gives a song an eerie feel. It was a nice taste at the beginning of the month of what was to come from Sung-gyu’s mini. This song shows more clarity in the mixing of song styles and the layering of the synthesizer, as well as some electric percussion instruments (do I detect a tambourine?) and some old-fashioned electric guitar was used perfectly to create an atmosphere of wild fun, that suddenly becomes restrained with slow techno beats. Although Sung-gyu is singing mostly through his nose during the chorus, it meshes well with the song especially as he croons through the end of the lyrics. The back and forth between the slow techno and the fast-pased electric guitar that gradually molds together to make a beautiful harmony is great to listen to, and was a perfect song to tease before the mini album’s release. “41 Days” is the final song on the mini album and was written and composed for Sung-gyu, by Lee Jung-hoon, another member of Nell, and is definitely my favourite song off the album, if I had to choose. It continues on the hypnotic feel that lingered around “Shine;” the song itself sounds very experimental and different to the other songs off of Another Me, other than “Shine” and the idea to make it heavy with electronica was risky but absolutely genius. It gave the song the sound of being an echo and that Sung-gyu was drifting away, and the beats were absolutely intoxicating in its melody and flow. Overall, this album is an absolute gem and makes me hope for more solo endeavours coming from Sung-gyu. I’ll always prefer solo Kim Sung-gyu over Infinite Sung-gyu because of his solo releases alone because they are much more suited for his vocals and gives a lot more edgy and unique tinge to Sung-gyu. With the amount of effort that has clearly gone into the production of these songs, I’m eager for more solos to come out from Infinite, especially from Infinite H. If his live stages are as great as this album sounds, he’ll definitely be rivaling Infinite H as my favourite performer from Infinite.